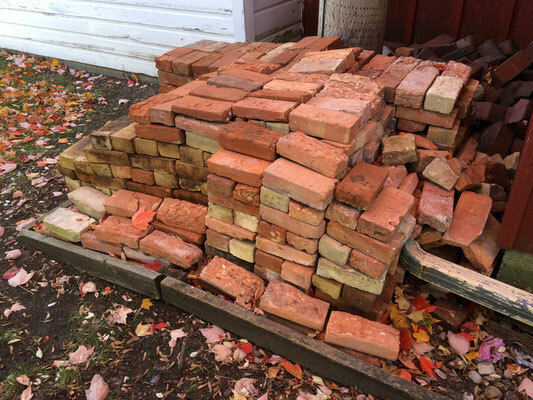 When a tree fell at the New Groningen Schoolhouse, what was left was a large stack of bricks that was hiding behind the tree. The bricks are Veneklasen bricks, manufactured in Zeeland and used in the construction of the 1881 New Groningen Schoolhouse. Museum volunteer John N. moved the bricks and stacked them behind the de Kruif barn at the Zeeland Museum. Thank you, John, for saving the bricks! And a thanks to board member, Bob R. who covered the bricks with a tarp to protect them from rain and freezing weather. 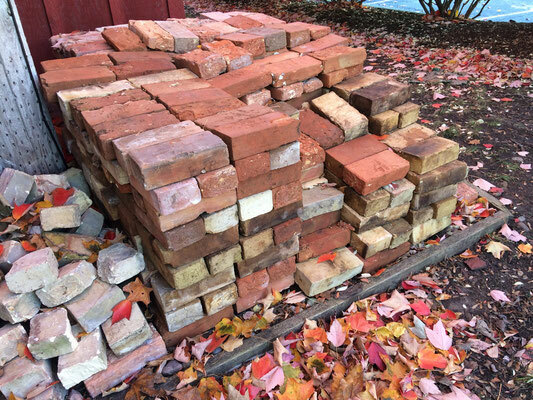 So what might we do with those old bricks? 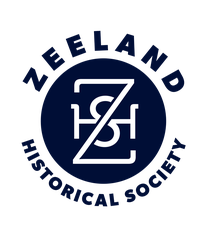 We now have originals on hand for repairs at our two properties, the schoolhouse and the Dekker Huis / Zeeland Museum, both constructed with Veneklasen bricks. Dorothy V. also mentioned expanding the brick patio that John Vander Warf built in front of the interurban station, or using the bricks to fill the bare area west of the large tree at the museum.